Story by Maj. Renita Foster It was developed in just 30 days in the summer of 1942 by the Subsistence Research Laboratory in Chicago. And never in its 52-year history has it been known to break, rust, need sharpening or polishing. 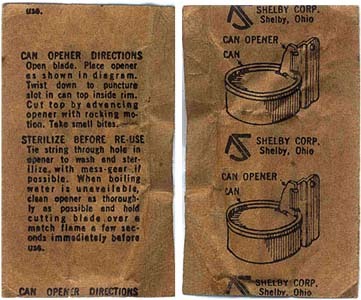 Perhaps that is why many soldiers, past and present, regard the P-38 C-ration can opener as the Army's best invention.